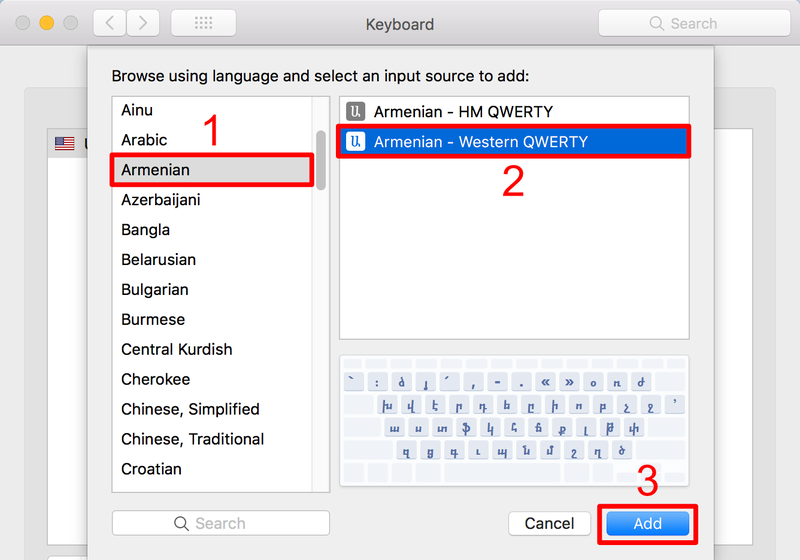 This guide will explain how to configure macOS 10.13 (High Sierra) to be able to write using the Armenian alphabet. Apple’s macOS operating system supports Unicode, an encoding standard that allows your computer to handle texts in most of the world's writing systems, including Armenian. Whereas displaying Armenian text doesn’t require any configuration, typing in Armenian requires a little configuration on your part. To be able to write in the Armenian script, macOS must be configured with an Armenian input source. This in effect converts your existing keyboard to an Armenian one. For example, pressing the “A” key may result in the Armenian letter “Ա” being printed. Make sure that Show Input menu in menu bar is enabled (checked). This will show you the currently active input source in the menu bar (near the time) and also allow you to switch between input sources. Click the + button on the lower left to add a new input source. (1) Select Armenian from the left list. (2) Select Armenian – Western QWERTY for a standard Western Armenian keyboard (alternatively, choose HM QWERTY). (3) Click the Add button. 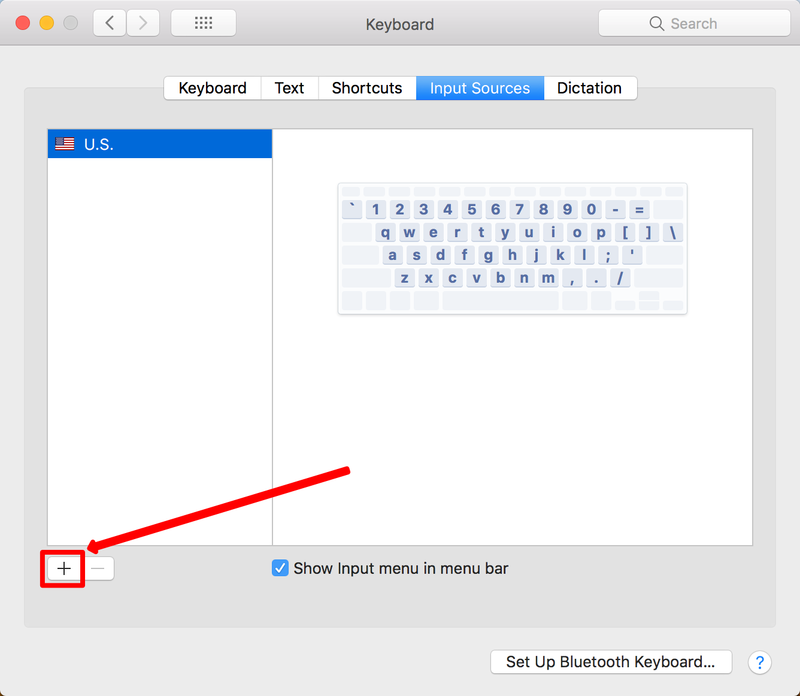 (Optional) To make it easier to switch between the Armenian and U.S. input sources, enable (check) the Use the Caps Lock key to switch to and from U.S. option. Close the window. macOS is now configuring with an Armenian input source, and you can start typing in Armenian in any application. Continue to the Usage section below to see how. Open the application where you will be typing text. In this example, we will use LibreOffice Writer to create a document with Armenian text. Switch to the Armenian input source (keyboard layout). There are two ways of doing this: using the Input menu, or using the keyboard. The Input menu in the menu bar (upper right of your screen) displays the currently selected input source. Click on it to change between Armenian and other input sources such as U.S. 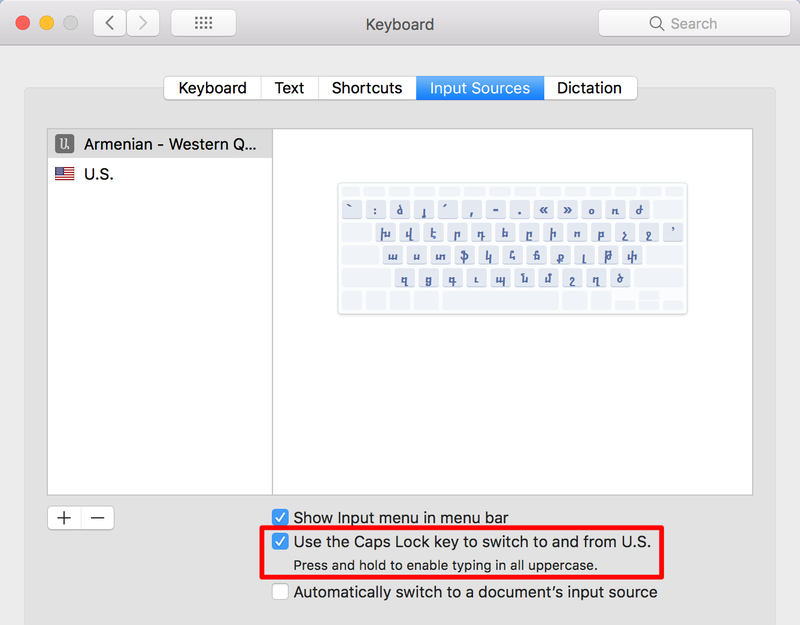 If you followed Step 7 in the Configuration section above, use the “Caps Lock” key to switch between Armenian and U.S. input sources. The Armenian input source has been selected, so you can now type in Armenian. If you don’t know how to use the Armenian keyboard, viewing the keyboard’s layout will help you learn it. 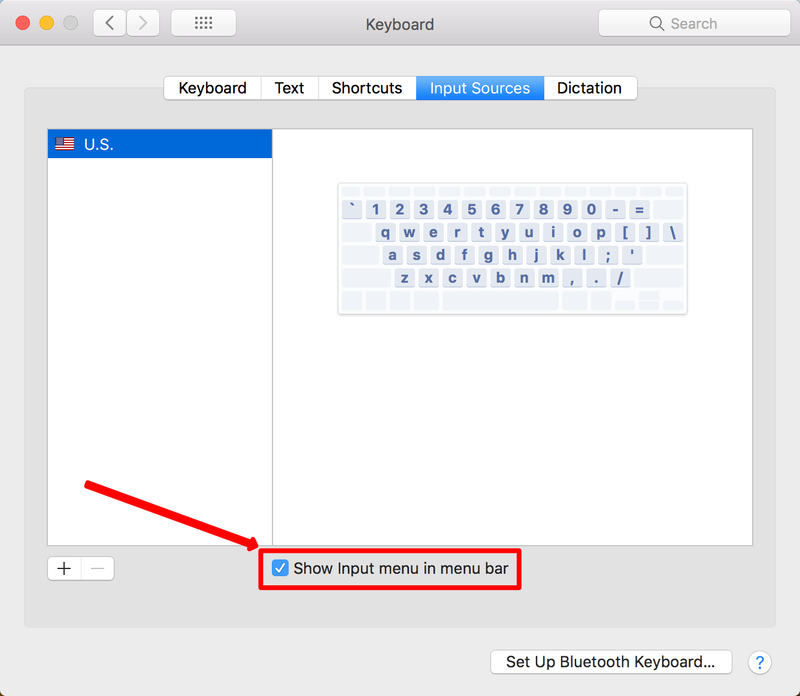 If you followed Step 8 in the Configuration section above, you can view the Armenian keyboard from the Input menu in the menu bar.